The Supreme Court admitted a Public Interest Litigation for rights of orphans and issued a notice to Central and State Governments. The PIL was filed by Poulomi Pavni Shukla, a law graduate, and also the author of the book "Weakest on Earth-Orphans of India". The PIL seeks reservation of orphans in education and jobs, and also an extension of similar monetary benefits to them as given to children of SC/ST community. The PIL is on the premise that the Right to Equality of ‘orphans’ is violated when Government gives more financial, educational and empowerment support to children with parents. The petition states that India has more than 20 million orphans (2 crores) – 2% of the population and an additional number of over 10 million Street Children, which is more than the population of Sri Lanka. The government of India has never had an official survey for the number of orphans. Such surveys are done in some of the most backward countries like Myanmar, Ethiopia and Indonesia. 117 districts in India do not have a single orphanage. Govt’s flagship scheme for “Child Protection”: ICPS (Integrated Child Protection Scheme), is meant to take care of these 2 crore orphans. However, the coverage of this program is less than 1 lakh children per year in the whole of India since its inception. For orphans, who are just as weak, if not weaker than other disadvantaged children there are no scholarships or fellowships, no coaching for any examination, no microcredit or loans on concessional rates, no reservation in educational institutions and jobs. Also, there is no provision of any kind for any ‘orphan’ to go for professional or higher studies after passing 10+2 at 18 years of age. According to the petitioner, "the ambivalence of the Central Government in the process of registration of Children Homes since enactment of JJ Act 2000 and then JJ Act 2015 is a glaring example of the lackadaisical approach that has characterized Government’s response to ‘Children in Need of Care and Protection". The Petitioner contends that protection of orphans will come within the ambit of "parens patraie" jurisdiction of the Court. 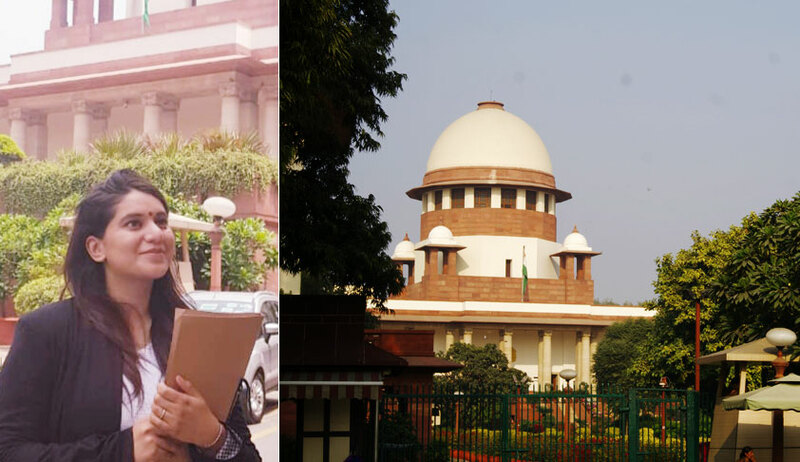 The PIL primarily seeks reservation’ for ‘orphans’ – who are as deserving as any OBC or the third gender to whom the Supreme Court has recently extended this support. Besides, the PIL seeks direction to the Government to extend the same or more financial, educational and empowerment support to ‘orphans’ as what is given to various categories of children who have parents. An official census or survey to have an official estimate of the extent of the ‘Children in Need of Care and Protection problem’ in India is also sought by the petition.